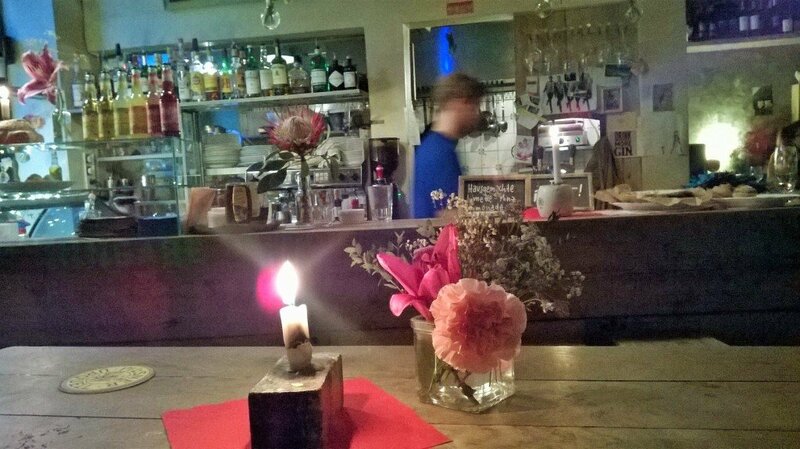 Another newly discovered hip and cosy restaurant in the midst of Kreuzberg is Das Hotel Bistro Berlin. A very warm atmosphere and beautifully decorated with lots of flowers. The offerings range from salads to different kind of burritos – quite different from the ones discovered before. We chose the chicken and vegetarian burrito. The prices are split between takeaway and dining – you get a small salad and some nice guacamole when you stay and eat. 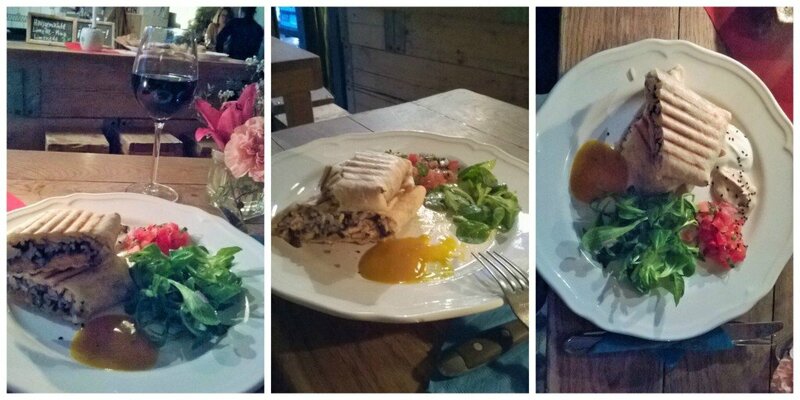 Quite delicious and very delicately prepared with lots of love! If you feel like a bit of a different kind of burrito and like to enjoy your food in a very subtle, warm and Kreuzberg-chique setting, this is the place to go. Das Hotel Bistro Berlin is located directly next to the Bar called Das Hotel, which is great to go to after your meal to enjoy some beers and cocktails.